Pre-planting treatments can help prevent deficiency symptoms in young trees while established trees can be treated by both soil and foliar nutrient applications. Regular leaf analysis should be used to determine whether single or multiple deficiencies or toxicities are impacting on tree health. This page replaces Farmnote 95/2000, trace element and magnesium treatments for apple and pear trees. 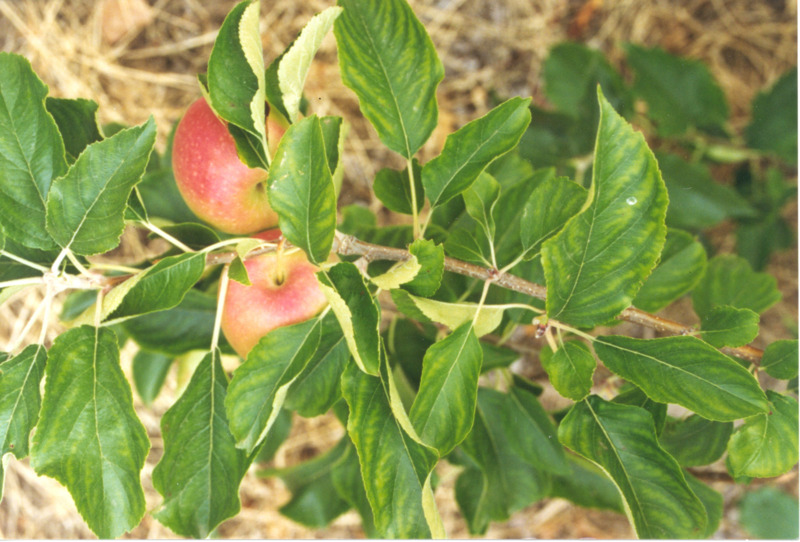 The trace elements zinc, copper and manganese have been shown to be deficient in Western Australian apple and pear orchards. Adequate uptake of these elements is essential for healthy tree growth and quality fruit production. Magnesium is not in a true sense a trace element, however, deficiencies are often noted, particularly on young trees. 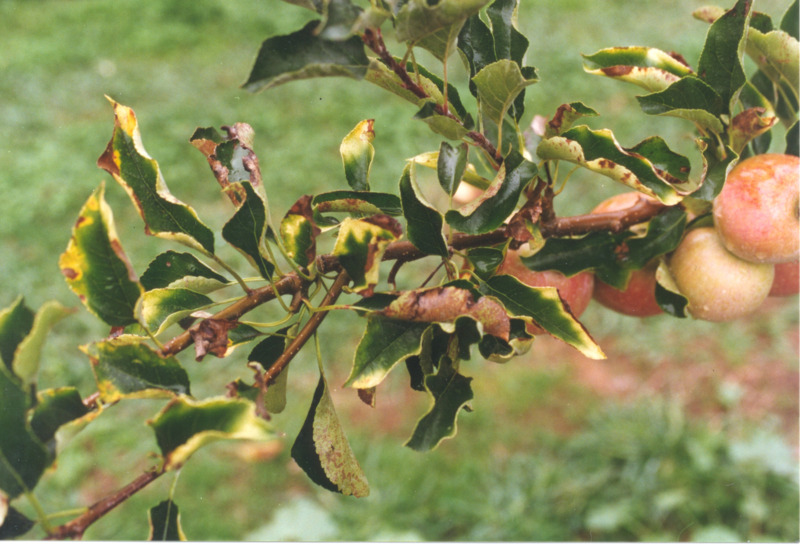 Zinc deficiency is most widespread, occurring in bearing and non-bearing trees grown on a wide range of orchard soils. Unless corrective measures are taken at planting, tree training can be disrupted and production delayed. Both soil and foliar applications are recommended to established trees to alleviate deficiency symptoms. Nematode damage to the root system has been associated with low zinc uptake by fruit trees. Correction of zinc deficiency through dormancy and foliar spray applications is extremely difficult. 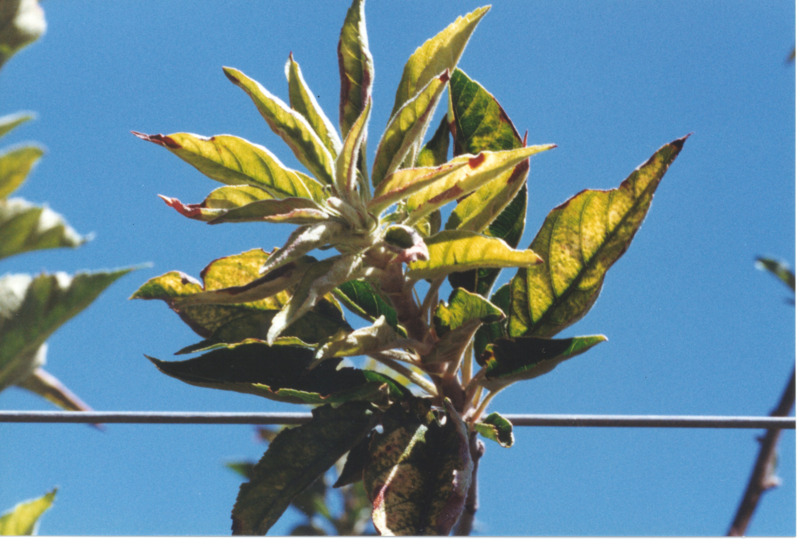 Copper and/or manganese deficiency, which may be more prevalent on the lighter sandy and gravelly soil types, will also impair tree growth, particularly on young trees. While some leaf nutrient symptoms are easily identifiable, leaf analysis must be used to determine whether there are single, or multiple deficiencies/toxicities contributing to the poor health of trees.